Buying or selling horses can be a stressful experience as sellers work to find a perfect new match for their horse and buyers comb through hundreds of animals to bring home a horse that suits their needs. One important aspect of this process is the Pre-Purchase Exam. This daunting vet check is exactly what it sounds, a thorough examination by a veterinarian prior to the purchase of a horse. However straightforward this may seem, there are several misconceptions regarding the Pre-Purchase Exam (also known as the PPE), which can make a seemingly simple process overwhelming for buyers, sellers and veterinarians alike. In order to get the most out of the PPE, it is extremely important to understand what the exam entails, what the true purpose behind the exam is and how to use it to make an informed decision. Once a buyer has found a horse they feel is suitable for their needs, they should have the ability to have the horse examined by a veterinarian prior to completing the purchase if they so choose. Sellers should give buyers the opportunity to have the horse vetted within a reasonable amount of time. The time frame allotted varies from seller to seller, but should give the buyer an ample amount of time to pick a veterinarian of their choosing and schedule the exam while not taking the horse off the market and unavailable to other potential buyers for longer than necessary. The buyer requesting the vetting can decide how in-depth of an exam they would like the horse to undergo. Based on the horse’s intended use, buyers may opt for an overall physical exam, lameness evaluation or more in-depth diagnostics such as x-rays, ultrasounds, and more. If issues arise during the basic physical exam, the veterinarian performing the exam may consult with the buyer to decide whether to move forward with the exam or perform diagnostics to dig deeper into any issues. 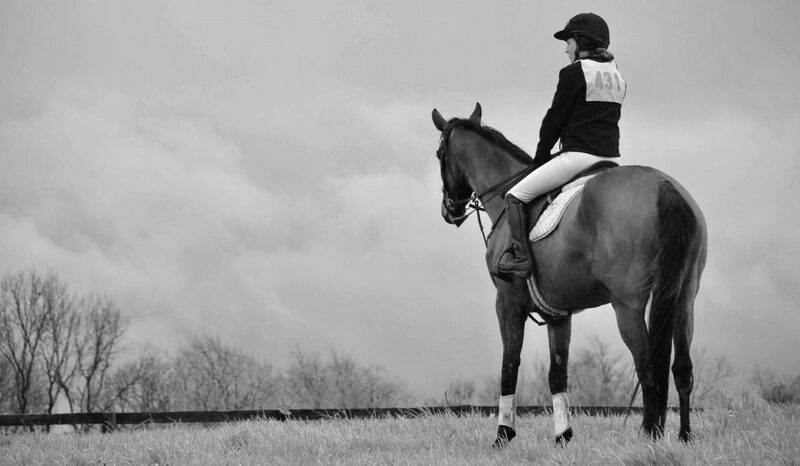 The overall purpose behind the Pre-Purchase Exam is to ensure that the horse is healthy, sound and has no physical injuries or issues that may limit their ability to perform to the buyer’s standards. Most buyers make the incorrect assumption that a horse will either pass or fail the exam. The PPE is not meant to be a pass or fail test, as it is up to the buyer to determine whether any issues that arise are worth the risk of purchasing the horse for their intended use. For example, a horse may appear sound while moving, being ridden or even after flexion tests but may have underlying issues that becoming visible during x-rays. While the horse is not bothered by the issues, it is up to the buyer to determine whether the horse may have problems performing in the future. A blemish like a small chip in a joint may not affect a horse that will be doing flat work only, but could cause problems for a buyer who intends to jump or event the horse. It is also important to understand that Pre-Purchase Exams are a snapshot of a horse’s health in the moment in time that they are performed. As with all living beings, injuries and illnesses can occur at any time. While veterinarians do their best to provide insight into the horse’s health for buyers, they do not have precognition and cannot see into the future. A horse that vets sound, has clean x-rays and shows no inclination that they may not be able to perform to the buyer’s standards may step off the trailer into their new home and injure themselves in the paddock. The veterinarian’s job is to examine the horse in that moment and help the buyer determine whether the horse they see that day will suit the buyer’s needs. Buyers can always ask for a second opinion or request that a veterinarian examine the horse again at a later date if they have any concerns with the outcome of the exam on the day it is being performed. Buyers cannot and should not expect the Pre-Purchase Exam to act as insurance for their new horse’s soundness in the future. Overall, Pre-Purchase Exams can provided valuable insight into the health, soundness and overall condition of a potential new horse, but only if the buyer truly understands both what the exam entails and what they can expect to take from it. Buyers should use the exam to make an informed decision prior to purchasing a horse while not falling prey to misconceptions such as a pass/fail outcome or insurance of future soundness.